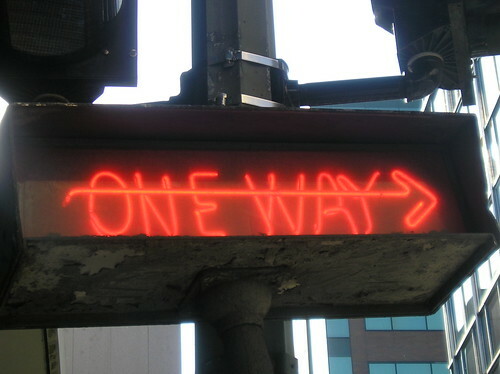 17th Street becomes a one way south street during the morning rush, and these neon signs are to remind drivers at intersections of that fact. 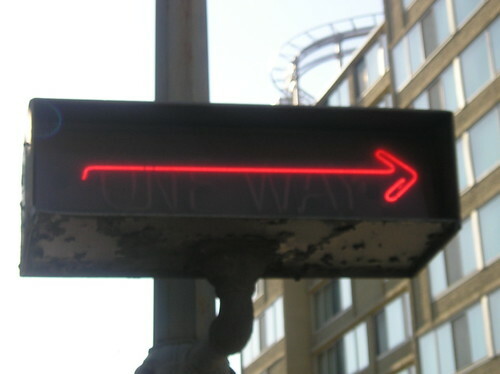 This one has malfunctioned, and the arrow stays on. 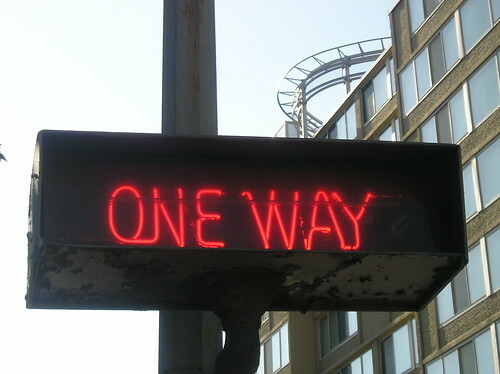 The signs are to flash between the arrow and the words “one way.” This sign is located between the Mayflower Hotel and the National Geographic Building. You can get an idea of how they function from the photos below. This neon fish is in the window of McCormick & Schmick’s on K Street, near the intersection of 17th Street, NW. I was meeting a friend at the National Geographic Society the other day, and its the first time I’ve ever been in there courtyard. I was surprised to find large sculptures of insects there. Here are two that I saw. 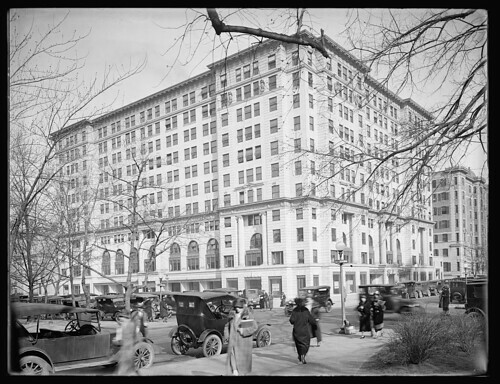 The Trans-Lux was once located on the west side of 14th Street, NW, between New York Avenue and H Street. 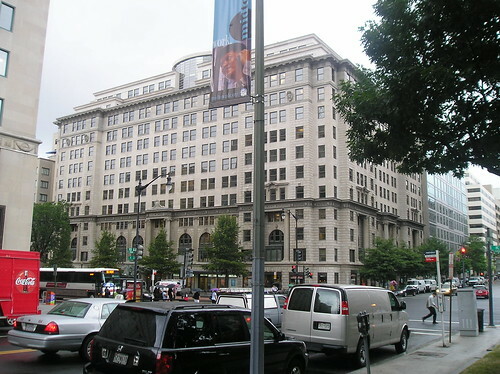 The Trans-Lux was designed by architect Thomas W. Lamb in 1936. The theater opened on March 13, 1937. 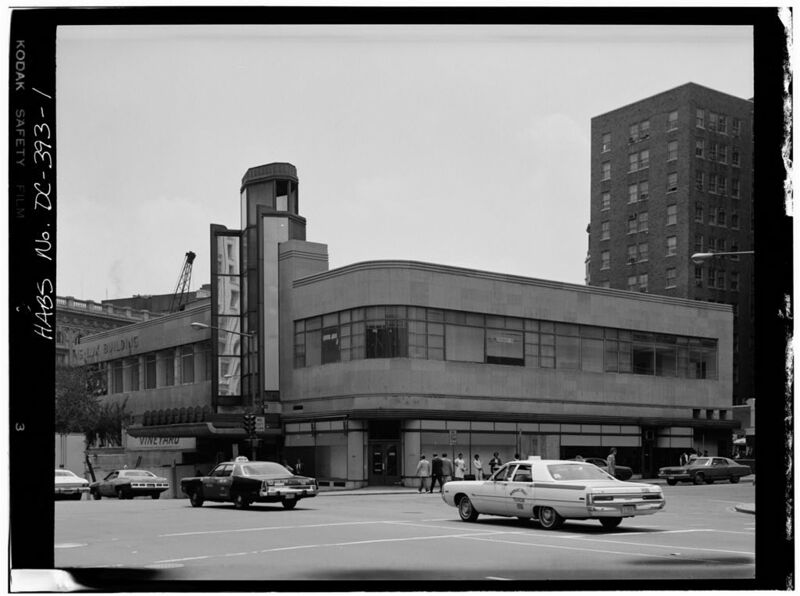 One of Washington’s most elegant art deco buildings, the streamlined theater was designed to show exclusively the latest newsreels from all corners of the globe together with an assortment of shorts, comedies, and travelogs. 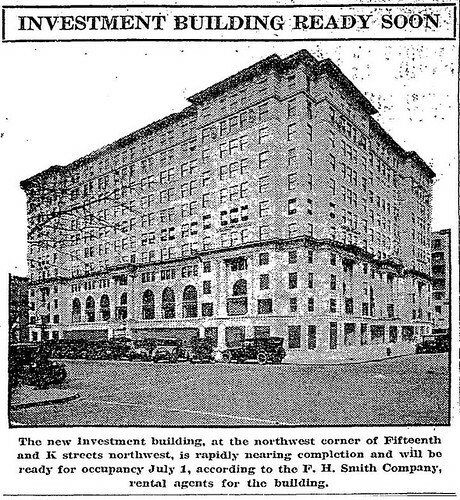 The theater had many features unique for its day in Washington — well-spaced seats, indirect lighting, rear screen projection, wall-to-wall carpeting, sound-absorbent walls, and one of the first air-conditioning systems in a public building in the city. Efforts were made to save the Trans-Lux but they proved futile. 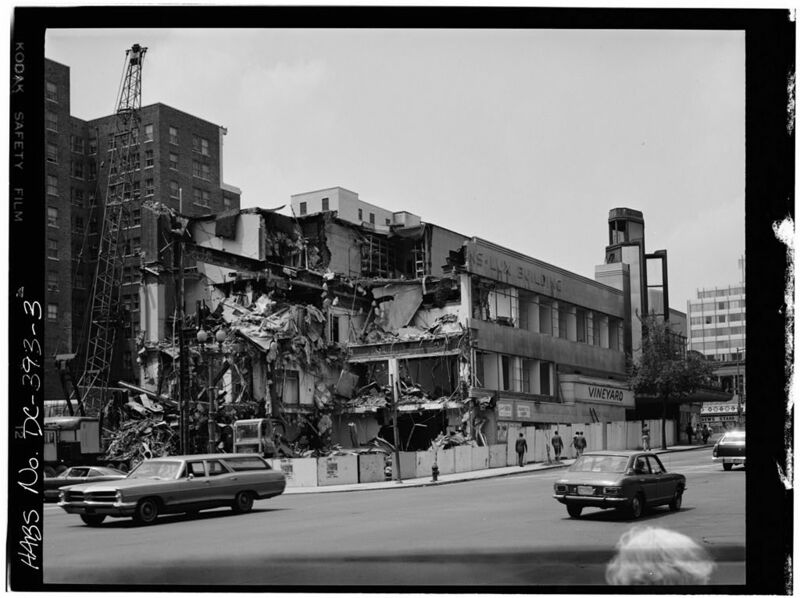 In the end, Washington preservationists lost as the parking-lot firm PMI razed it in 1975. Really, nothing more than a sign I liked. It looks like the work on K Streets going to involve a certain amount of repaving. 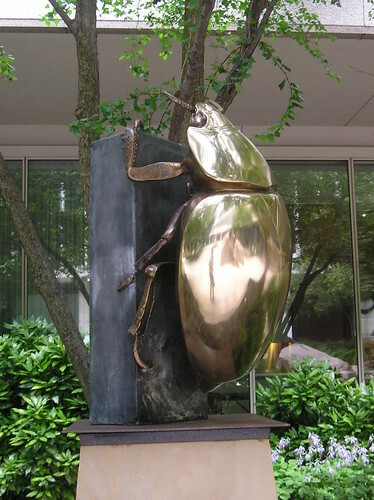 This sculpture is in front of the American Association for the Advancement of Science’s (AAAS) 12th street entrance and is titled Renaissance by David Bakalar. 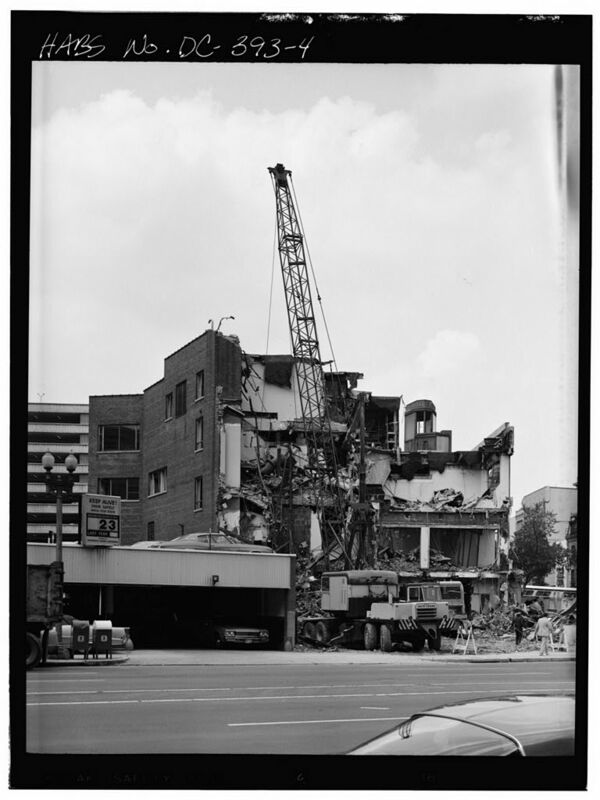 If I read the AAAS Web site correctly, the sculpture dates to 2000 or a little before. 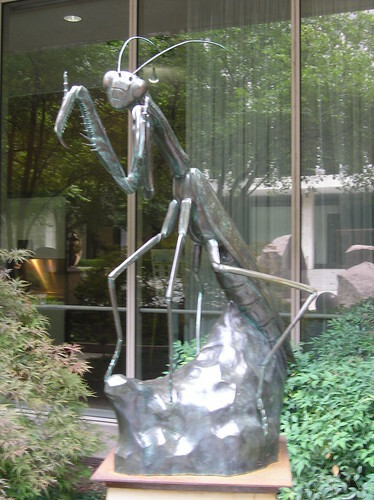 The Web site also states that Bakalar sculptures can be seen at M.I.T., Harvard, Brandeis, Columbia Law School and other universities, as well as at the Marine Biology Laboratories at Woods Hole, the Federal Reserve Bank in Boston, and the Nike Corporate Headquarters in Beaverton, Oregon.